Chloe Hobden from Camillin Denny Architects couldn’t have made my job any easier when I came to research Brighton Housing Trust’s First Base Day Centre on Montpelier Place recently. Montpelier Place, between Lansdowne Road and Montpelier Terrace, is not a long stretch of road but it is a pretty one. 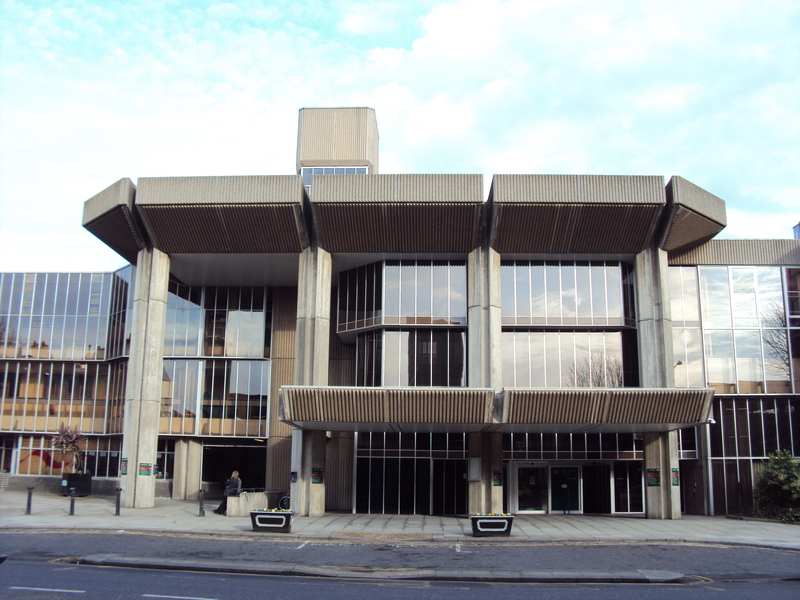 One building of particular interest is the angular Montpelier Place Baptist Church which dates from 1967. Another is the Grade II* Listed St. Stephen’s Church which is home to First Base and soon to be subjected to major works. Architects tend not to have time to act as architectural historians but it is best to approach sensitive restoration projects with a certain level of knowledge and, indeed, respect. It’s fair to point out that I rarely come across Chloe’s level of mastery and her careful research could only have improved the scheme. St. Stephen’s Church actually began as a ballroom – but was located on an entirely different site! 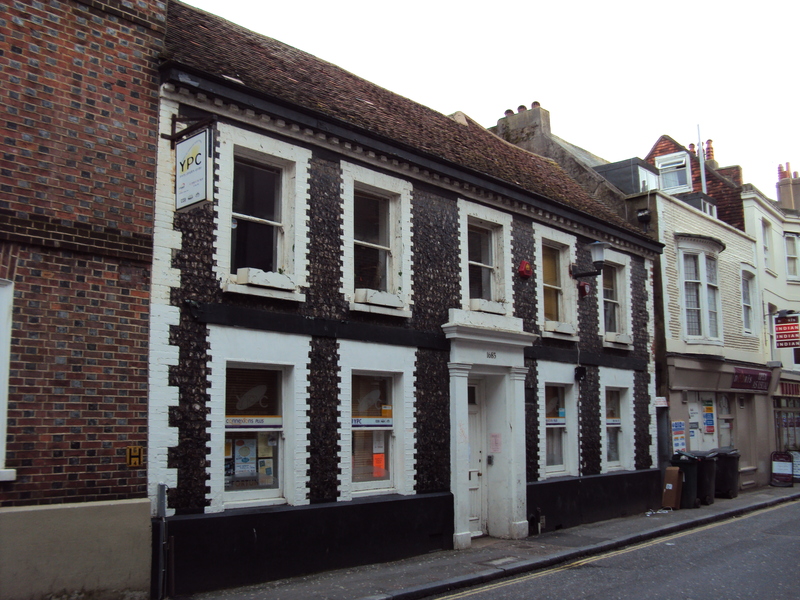 It was built by John Crunden in 1766 as the ballroom of the Castle Inn at the foot of North Street. 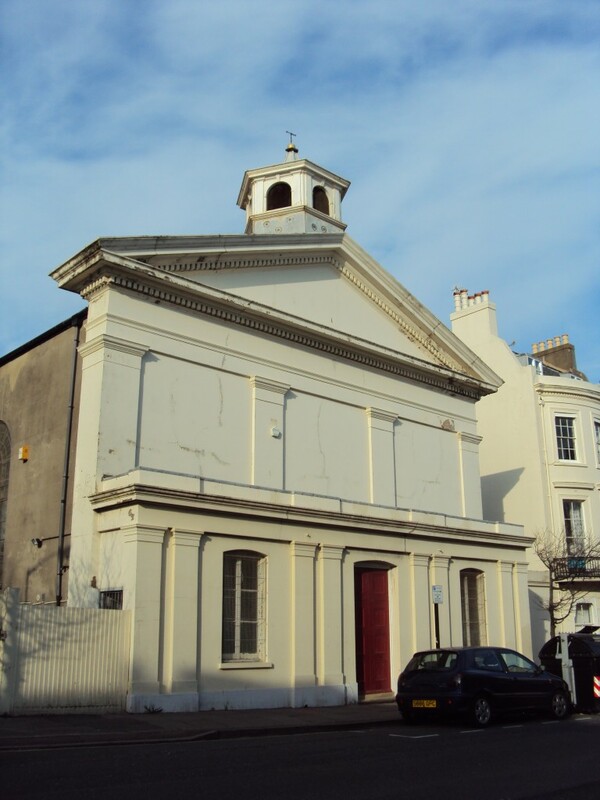 It became King George IV’s private chapel in 1822 but was sold by Queen Victoria to the people of Brighton along with the rest of the Pavilion Estate in 1850. It faced demolition though when North Street was to be widened so was dismantled and rebuilt in its present location in 1852. It closed as a church in 1939. The initial disappointment upon my arrival was not being able to use the grand front door. The cavernous space within easily made up for this despite acres of green, orange and blue paint which has been stained a variety of new shades by years of cigarette smoke. Although great work for the community goes on within (80-110 people use the resource daily), the interior is in urgent need of repair. 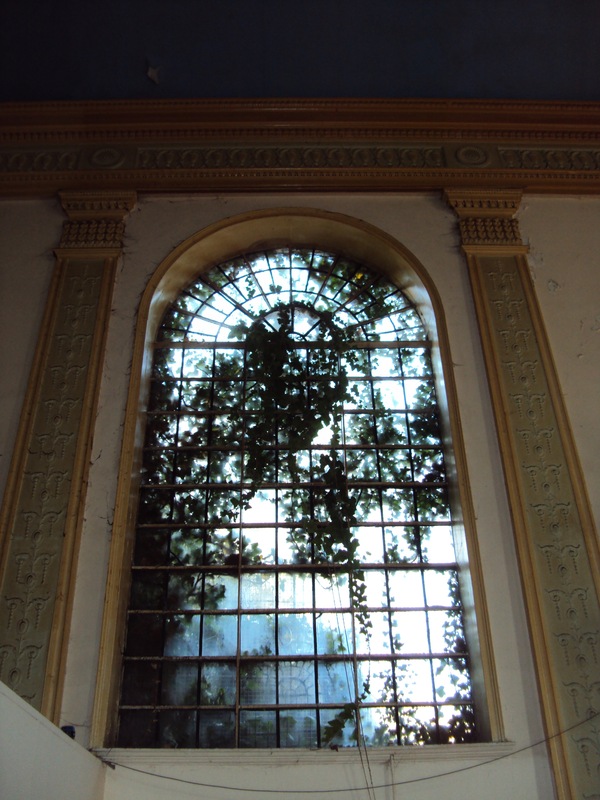 Ivy growing through a number of window panes says it all really. Chloe has essentially designed two fairly harmless structures which are to sit within the expanse of the main hall. The space currently feels overwhelmingly large whilst the facilities at the south end of the building appear cramped. The plan will solve both problems. A great deal of internal restoration work will be taking place and that means attending to cornicing repairs and a new paint scheme – celestial blue. 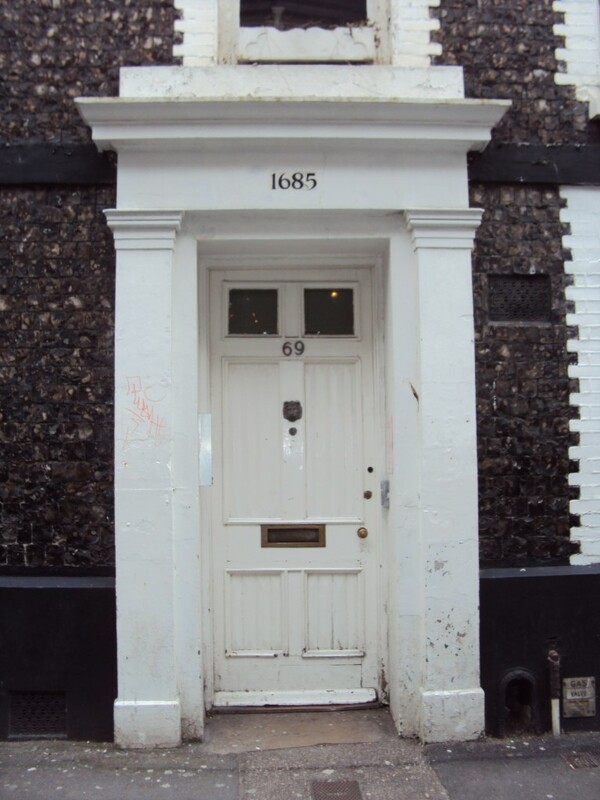 Thankfully, the original front door is to be brought back into use. 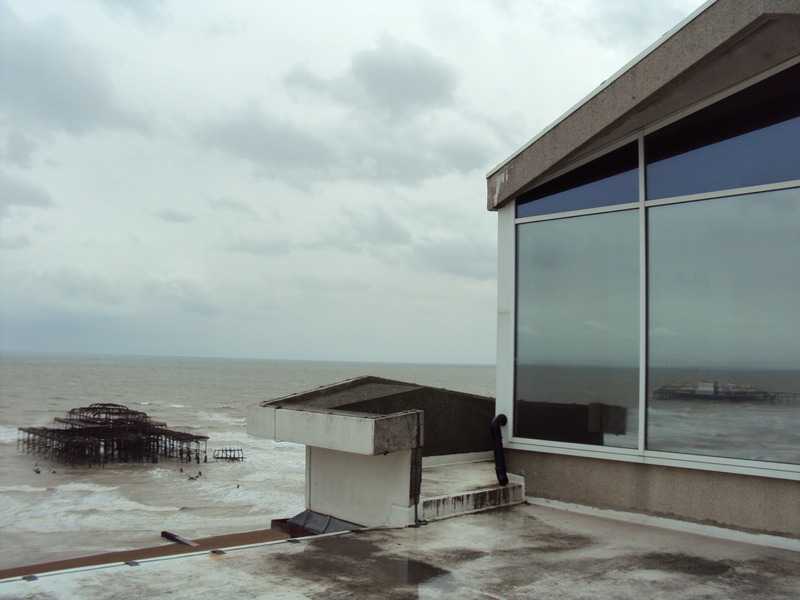 The destruction of Hove Town Hall on 9th January 1966 by fire was felt deeply by the people of Hove. Indeed, it is still mentioned today. 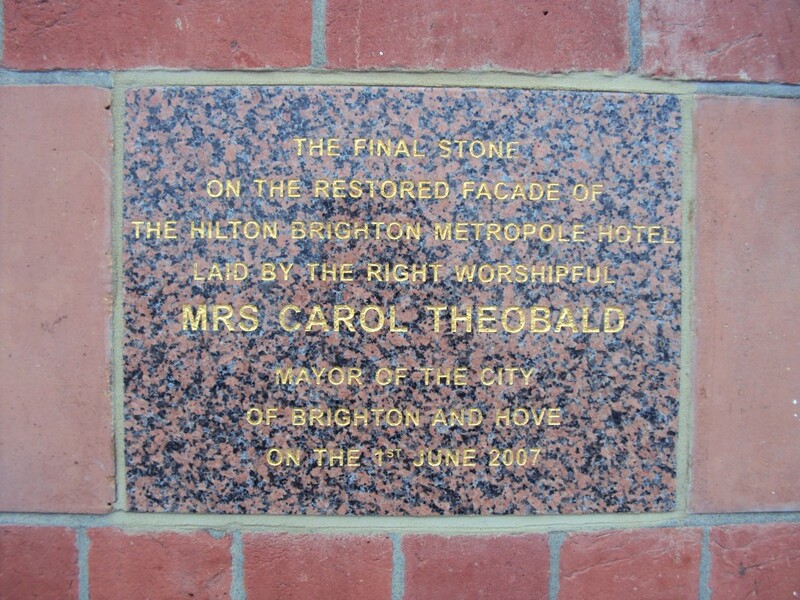 But it wasn’t just a much-loved local building that was lost, it was a treasure of national importance. The architect of the red-brick, terracotta and Portland stone structure was Sir Alfred Waterhouse, one of the great Victorian Gothic revivalists. Given that Waterhouse was also responsible for the Natural History Museum in London, Manchester Town Hall and the Metropole Hotel in Brighton, its importance cannot be emphasised enough. Local architect John Wells-Thorpe was appointed to design a new building and carried out the imaginative task of flying a group of dignitaries from the specially-formed Civic Buildings Committee to Holland to see the best of what had been built there. Hilversum’s town hall of 1934, designed by Willem Marinus Dudok, was on the group’s list and its influence on the final result in Hove can clearly be seen. The new building grew from the old site which had been enlarged by demolishing buildings on Tisbury and Norton Roads. The door numbers on what are now the first houses on those streets give some idea of what was removed. Concrete clad with Derbyshire spar and acres of bronzed Spectrafloat glass famously dominate Hove Town Hall today. It opened in 1974 when a very specific type of architecture was in vogue. That popularity reached an all-time low several years ago but a revival seems to be on the horizon. Art Deco architecture, now immensely popular, has just been through a similar process after all. 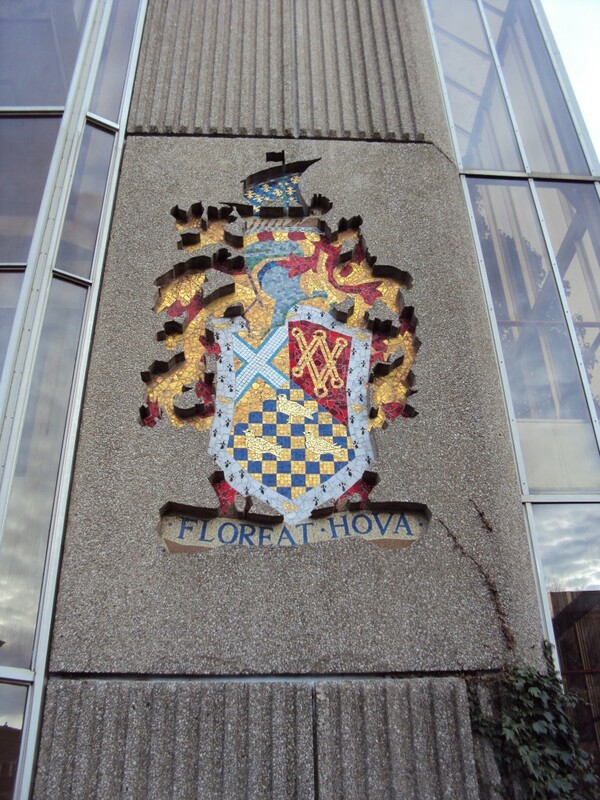 Much of the criticism levelled at Hove Town Hall today is a little unfair as a number of the building’s best features have actually been removed over the years. Concrete, whether its clad or not, isn’t the friendliest of materials yet the wondrous cascade of tropical plants which provided a pleasant welcome are no longer in place. Despite the size of the building compared to its predecessor, a large undercroft fronting Church Road and a courtyard with a Japanese garden were turned into offices. A tunnel even exists which provides access to the car park opposite – but it is no longer used. John says that he “wasn’t seeking to be modern for superficially stylistic reasons.” Hopefully he’ll chuckle when I point out that every architect says something along those lines to explain something controversial.